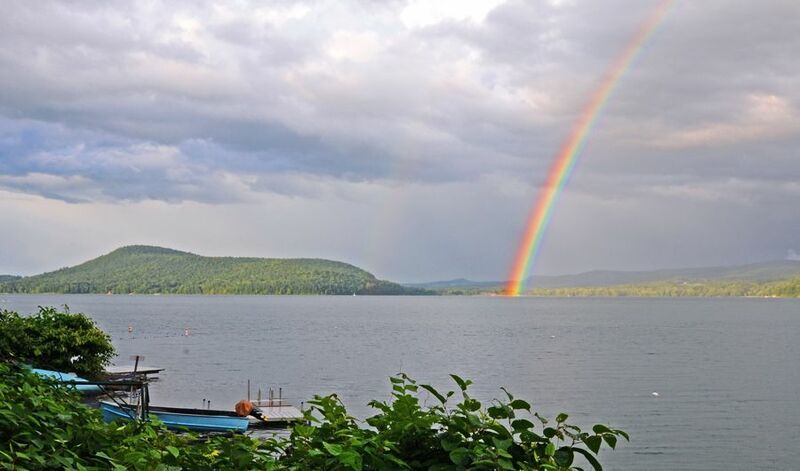 Marveling at Beautiful Otsego Lake in Cooperstown, N.Y.
Rainbow at Otsego Lake, Cooperstown, NY. Photo by Franke Forte Photography. All work is copyright protected. Otsego Lake may be 10 miles long, but the sparkling body of water creates millions of pleasant memories. Easily one of the prettiest lakes in New York state, Otsego Lake offers myriad swimming, fishing, boating and other recreational opportunities. Many, however, know that just sitting on a bench and marveling at the clean, placid waters will do just fine. For those who live in Cooperstown, the lake would be enough to make Cooperstown a great place to live. Add beautiful homes and neighborhoods, refreshing mountain air, and one of the most appealing Main Streets in America and the combination is hard to beat. For those coming to Cooperstown, this splendid mix is enough to consider "making the move" to a kinder, gentler land. A great introduction to Otsego Lake starts at the end of Lake St., near Lakefront Park. Take the steep stairs to the Clinton Dam, a wonderfully serene area where the beginning of the Susquehanna River meets Otsego Lake. With a small park area -- perfect for sunning, and an an incredibly peaceful aura, the Clinton Dam, while not a well-known spot to tourists, is highly recommended as a great example of Cooperstown beauty. Otsego Lake from Council Rock Park in Cooperstown. The absolutely tranquil Lakefront Park, with a multi-level stretch of park land and stunning views of Otsego Lake, is just a short walk from the Clinton Dam (going from Lake Street to either Lower Fair St. or Lower Pioneer St.). The walk down to Lakefront Park is a treasure with beautiful gardens in front of splendid lakeside homes. 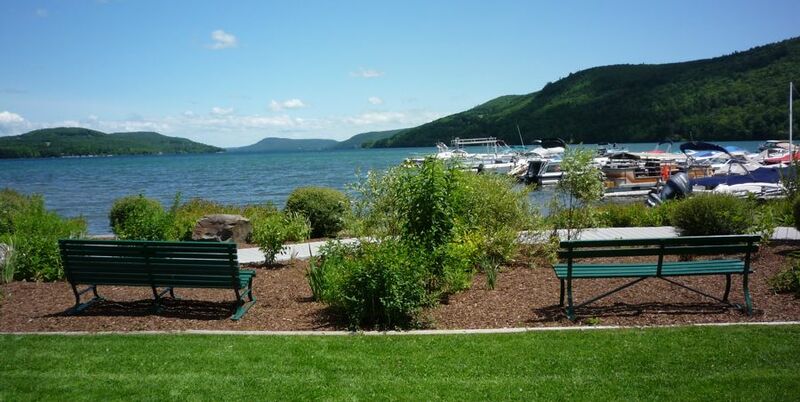 At Lakefront Park, you can sit on a bench and see that Otsego Lake is more than just a body of water. It represents a way of life for Cooperstown residents who appreciate the beauty of their town. Otsego Lake at Lakefront Park. A great way to appreciate this grand lake is taking an hour tour on the The Glimmerglass Queen Tour Boat , which departs from Lakefront Park, en route to a wonderfully relaxing tour of Otsego Lake and views of all the great rolling hills and greener-than-green lands. Glimmerglass State Park, 10 minutes out of Cooperstown Village and at the other end of Lake Otsego, is a model of how state parks should be run. Clean, well-maintained and ultimately beautiful, Glimmerglass State Park has a fine swimming beach in the summer, great cross country skiing and vast open land to roam any time of the year. The fresh air is enough to make one want to move instantly to this region. Otsego Lake, on its own, makes for a great Cooperstown vacation. 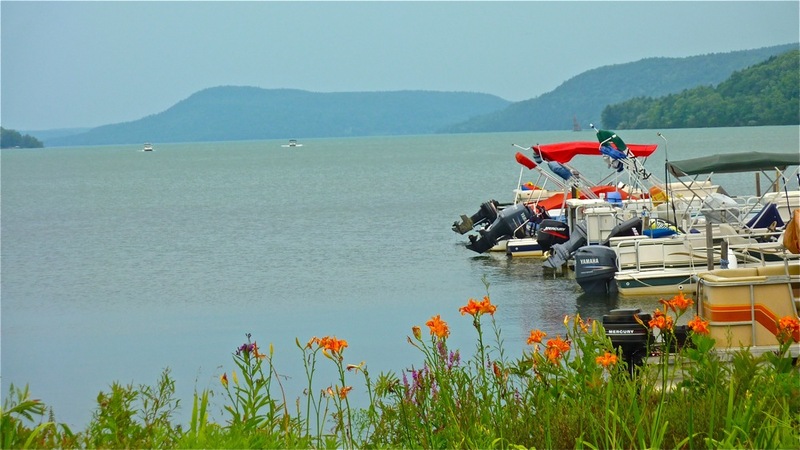 Every inch of the lake is ripe for fond memories, but that is no surprise --Otsego Lake is just "reflective" of what makes Cooperstown such a wonderful destination.